An exclusively curated research repository of more than a decade’s worth of articles and insights written by the best minds on business and management from across the world. To better access the articles that interest you, please click the relevant categories listed below. 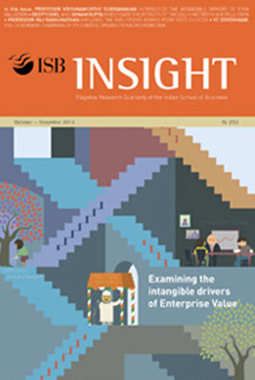 Every issue of ISBInsight revolves around a central theme of current and critical importance to readers, with in-depth articles written by leading academics and management thought leaders from across the globe. What problems are India’s digital health entrepreneurs tackling? A round-up of six digital health start-ups. Digital health start-ups are bringing novel technologies such as wearable-tech, telemedicine, genomics and artificial intelligence to the Indian healthcare system, reports Hanu Tyagi. A survey of Indian hospitals revealed that health information systems are available and used routinely in most facilities, say Professor Adam Powell, Hanu Tyagi and Jasmine Ludhar. Unequal access to information for decision-making parties occurs frequently in healthcare markets. Technology may solve part of the problem, say Professor Sisir Debnath and Dibya Mishra. 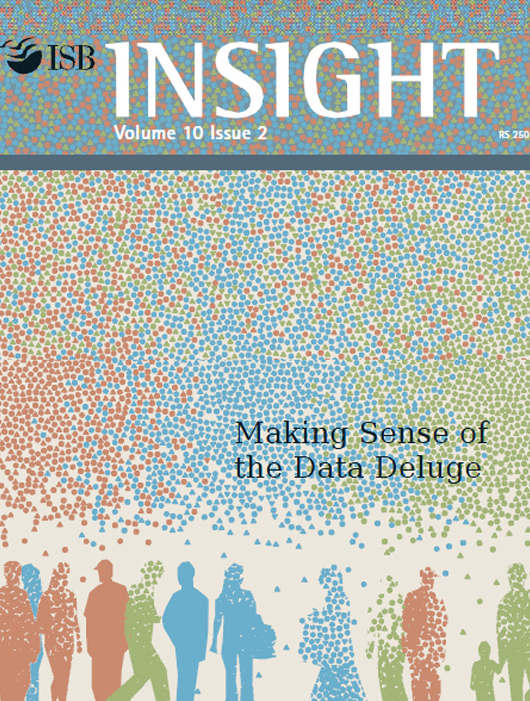 How do we learn best practices from healthcare data? Professor Rema Padman examines emerging trends and analytical models. Professor Sarang Deo and Hanu Tyagi ask: Can technology be a game-changer in addressing the problems that affect the Indian healthcare ecosystem? 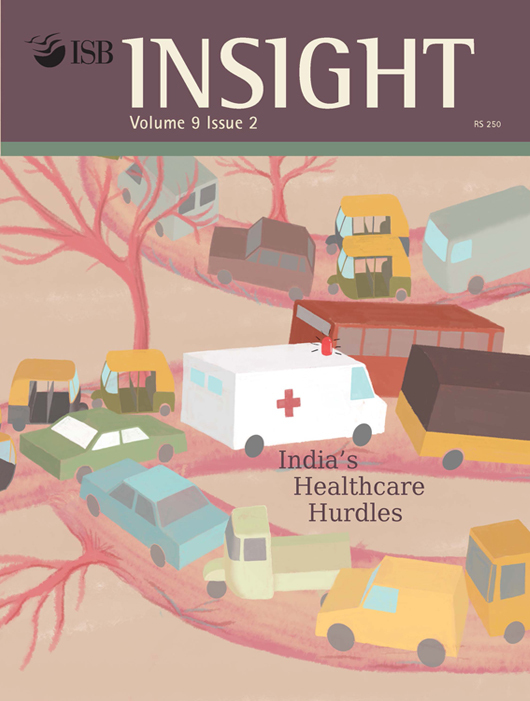 Given the unique challenges of the Indian setting, Lavanya Marla and her co-authors highlight the need to bring emergency medical services systems into public policy discussions and develop novel, interdisciplinary solutions to design and operational issues. Sarang Deo and his co-authors use ambulance transport data from the London Ambulance Service to understand how diverse teams operate when processes are less standardised. Justin J Boutilier of the University of Toronto explores the potential of drone technology to be a transformative innovation for the provision of emergency medical services, despite a host of new technological, regulatory and operational challenges. Umashankar Kotturu, cofounder of CallAmbulance, discusses the importance of taking a comprehensive and collaborative approach to emergency care built on technology, financial preparedness and a human network to create emergency ecosystems that empower victims. There is an urgent need to extend the myopic view of emergency medical services beyond operations to an interdisciplinary perspective encompassing business models, strategy, process control, policy, and innovation, says Milind Sohoni in this report on the First Practice-Based Summit on Emergency Medical Services in India. The authors, Navneet Bhatnagar and Professor Kavil Ramachandran, examine the challenges that the professionalisation process poses to the leadership, the business and the family. Family businesses are the future and an integral part of the journey of India to emerge as an economic powerhouse. Dr Nupur Pavan Bang, Professor Sougata Ray and Professor Kavil Ramachandran, study family businesses, heterogeneity within them, while also comparing and contrasting them with other ownership categories. Dr Dieter Spaelti provides an update to his original article, from the archives, in which he elaborated on the structural setup of family offices. Professor Kavil Ramachandran analyses the unique challenges faced by the family businesses, and the journey ahead; the role of Thomas Schmidheiny Centre for Family Enterprise at Indian School of Business in addressing these. Clusterpreneurship: Do entrepreneurs create and sustain clusters? The trends in ICT sector explain the emergence of start-ups and their regional concentration, say Professor Deepa Mani, Professor Anand Nandkumar and Vasundhara Sharma, in their analysis. A paradigm shift to ICT-intensive R&D and the related increase in the centrality of the ICT industry has important implications in a wide spectrum of industries, point out Professor Deepa Mani, Professor Rajib Saha and K Aditya. Not only mobiles but PCs too will play a crucial role in the objective of digitising India effectively, emphasise Professor Sundar Bharadwaj, Professor S Arunachalam and Ananthanarayanan S.
In their study of real-time marketing (RTM) messages on social media, Professor Sundar Bharadwaj, Professor Omar Rodriguez Vila and Doctoral Candidate Myoung-Jin Chae propose and test two mechanisms by which RTM messages have an impact on consumer engagement. Tired of waiting for elusive government support, farming households devise their own coping mechanisms to climate change, shows a survey of five Indian states by ISB Researchers Ujjainee Sharma, Shreya Basu, Anu Johny and Lalmani Pandey. The consequences of climate change could be devastating if policy makers continue to ignore them, point out Professor Ashwini Chhatre and his co-authors. Mechanical analyses of presumed climate impacts are not enough to formulate responses to climate change, says Professor Ashwini Chhatre. Public policy and supply chain innovations are critical to mitigate risks and encourage farmers to adopt crop diversifi cation, say Professors Ashwini Chhatre, Sripad Devalkar, Sridhar Seshadri and Research Associate Prashant Hariharan. A right mix of approach is needed for meaningful outcomes from a climate policy, says Poornima Sheelanere. Democratic governance at multiple scales and articulation between institutions, across scales, are critical to successful adaptation by communities to climate change, say Post Doctoral Fellow Harry W Fischer, Professors Ashwini Chhatre, Sripad Devalkar, Milind G Sohoni and Research Assistant Sriharitej Kolagani. 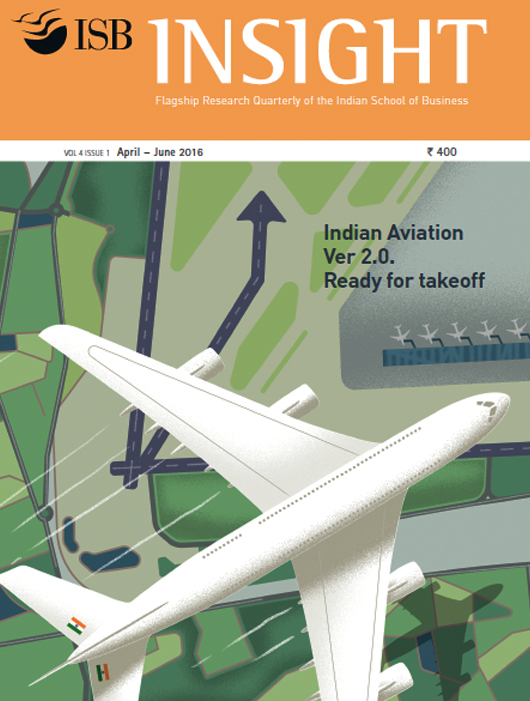 The success story of Indian aviation will depend on two primary drivers - low fares and increased connectivity, says Rajiv Bhargava. According to Professor Milind G. Sohoni airlines need to develop additional capabilities to plan for uncertainty. India could well become the third largest aviation market if the National Civil Aviation Policy is implemented in letter and spirit, writes Amber Dubey. Dean Rajendra Srivastava captures a dozen lessons that deserve the attention of strategists who need to innovate by embracing one or a combination thereof to succeed. Professor Vijay Govindarajan puts forth his three box strategy for leading innovation in the future. It is as important to create the future as managing the present is, he says. Multinational firms (MNFs) use a variety of mechanisms to make up for weak intellectual property rights regimes in countries such as India and China. Professor Anand Nandkumar analyses these mechanisms. Professors Anand Nandkumar and Deepa Mani with Mridula Anand look at India’s progress in technological innovation by analysing patent data. Mridula Anand strings together learnings from a series of ISB case studies on innovations in emerging markets. Dr Prajapati Trivedi highlights that attempts to develop capacity have persistently fallen short of expectations in India and other developing nations. Therefore, we need to re-examine, re-invent, reimagine and re-double efforts to build capacity in various sectors at all levels. Professor Pierantonio Russo suggests adaptation of a consumer driven approach that would allow meaningful comparison among individual healthcare providers and facilities. Mandar Kagade highlights critical requirements for achieving the goal of minimum government, maximum governance. O P Agarwal provides an approach for fi nancing smart city projects, understanding area based development, process of stakeholder engagement and the kind of research activities that need to be initiated. Professor Tarun Jain explains the importance of Impact Assessment in policy making and programme designing. Improving Maternal and Infant Healthcare Utilisation: Does Conditional Cash Incentive Work? Professor Sisir Debnath assesses success of Conditional Cash Transfer (CCT) schemes in curbing high rates of neonatal and maternal mortality. Professor Shilpa Aggarwal studies the rural road construction programme and explains its impact on the biophysical and human environment. Professor Tarun Jain’s research of JEEViKA in rural Bihar shows how the programme enabled trust building amongst the members of the community. Professor Ashwini Chhatre and Arnab Dutta, Research Associate, through their research show that monetary incentives fail to inculcate a sense of environment conservation. Jitendra N Bajpai draws lessons from the history of other cities like New York City and defines the key building blocks for smart Indian cities. 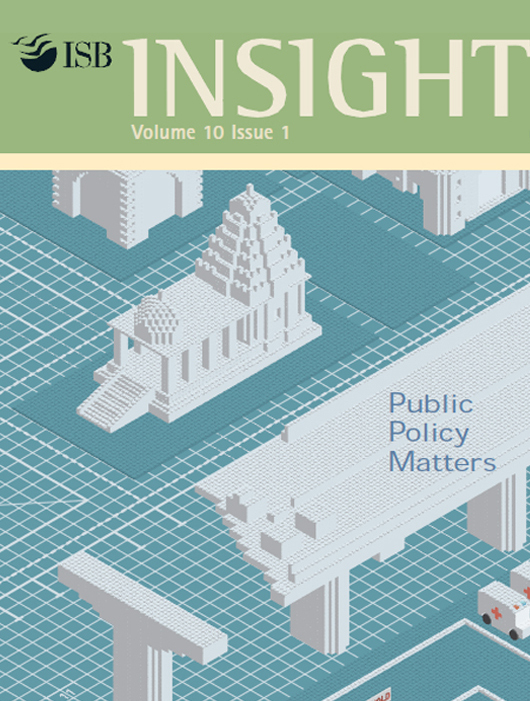 O P Agarwal explores financial models for smart cities. The key to success of these models has much to do with leveraging the right instrument based on the unique risk and rewards, he says. Priyansh Dixit and Vinod Bijlani write on the need for technology-based transportation systems that provide a complete transit and traffic data to enable management of traffic and reduce emissions. Deepa Mani and Shankhadeep Banerjee write about their Smart Cities Maturity Model that will help Indian cities to assess where they currently are on their journey to being smart cities and decide where they want to be. Dr Anupam Khanna reveals India’s advantage in services exports since it can leverage the IT industry’s favourable reputation and capabilities. Professor Deepa Mani explains the urgent need for a capability maturity index for GICs in India. Professor Anandhi Bharadwaj urges for a new set of valuation models that will more accurately capture and quantify digital innovations. Professor Nishtha Langer profiles the new generation of IT professionals and the importance to stay on top of industry’s ‘skills’ trends. Professors Rajesh Chakrabarti and Gireesh Shrimali outline the growing importance of renewable energy and the necessity for deploying it in a cost-effective manner. Professors Ashwini Chhatre and Brian Dill explore the underlying circumstances leading to the spurt in power generation from renewable energy sources. Professor Gireesh Shrimali outlines measures to improve access to finance and scalability of investments in India’s renewable energy sector. Which Federal Renewable Energy Policies can be Most Effective? Sandhya Srinivasan compares existing renewable energy policies against a proposed set of debt-related policies to provide a framework for choosing the most appropriate policies. Charith Konda makes the case for exploring low-cost, long-term debt financing options for renewable power projects. Oshani Perera and Tilmann Liebert explain how the principle of ‘value for money across the entire life cycle of an asset’ can ensure sustainable and equitable development. Anant Sudarshan posits the potential of behavioural interventions with respect to consumption of electricity and the need to achieve energy efficiency. Professor Amit Mehra outlines how emerging trends in digital media are transforming businesses. Professor Jui Ramaprasad presents some surprising results in a study on freemium- the increasingly popular online business model in the context of online music and dating sites. Professors Sunil Wattal, Gordon Burtch and Anindya Ghose explore the growing phenomenon of crowdfunding as a powerful instrument of entrepreneurial finance. Professor Anindya Ghose unravels the myths and paradoxes of mobile marketing through findings from a series of multi-country studies. Professor Sanjay Kallapur introduces a selection of articles on the new Companies Act, 2013 and other recent reforms in the regulatory framework for corporate governance. 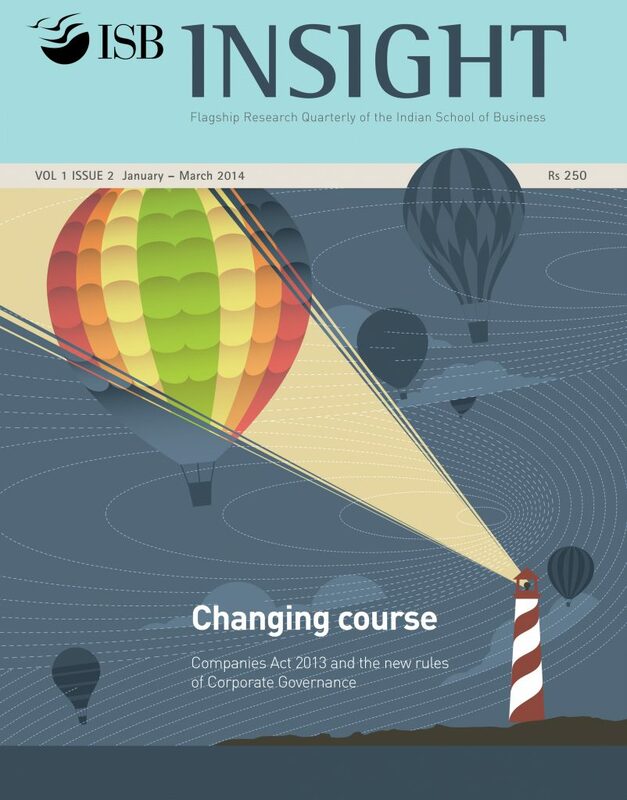 Mirza Baig analyses India’s corporate governance landscape from the perspective of international investors. Nawshir Mirza argues that one of the Companies Act 2013 mandates, threatens to upend the identity and purpose of the corporation. Professor Asish K Bhattacharyya speaks about the need for appropriate training and research to inform implementation of the Companies Act 2013. Professor Krishnamurthy V Subramanian introduces a selection of articles on enterprise valuation that are drawn from the Summer Research Conference in Corporate Finance. Professors Art Durnev, Larry Fauver and Nandini Gupta highlight how politician speeches affect returns to companies, as well as employment and investment levels. Critical differences in board tenures and characteristics between family and nonfamily firms affect fi rm value and performance, argue Professors Huimin Li, Harley Ryan, Lingling Wang and Baozhong Yang. Professor Krishnamurthy V Subramanian and researchers Chandra Sekhar Mangipudi and Rajkamal Vasu adopt a novel approach to valuing innovative assets of young, path-breaking firms by examining the value paid for their acquisition. In a study of the corporate philanthropic activities of 500 major American firms, Professor Ronald W Masulis and Syed Walid Reza find that as companies give more, their shareholder value falls. Professor Raveendra Chittoor and Deepak Jena present the results of a 2013 ranking survey of India’s most internationalised companies based on the Transnationality Index (TNI). Professor Raveendra Chittoor’s and Deepak Jena’s survey-based study highlights key issues related to overseas acquisitions. The “India Way” of Managing Acquisitions: When Does it Really Work and Why? Professor Prashant Kale examines the distinctive approach of Indian companies to managing their overseas acquisitions and why it has proved fairly successful thus far. G V Prasad, current Chairman and Chief Executive Offi cer (CEO) of Dr Reddy’s Labs speaks to Professor Raveendra Chittoor. Professors Flávia de Magalhães Alvim and Sherban Leonardo Cretoiu explain why it is important for multinational corporations from emerging economies to effectively manage stakeholders abroad. Reflecting on the state in doctoral education in management in India, Professor Puranam presents his solution. Professor Kallapur explains his position regarding the proposal put forth by Professor Puranam. Questioning the need to develop variants of PhD programmes, Professor N Ravichandran suggests a different approach. Professor Natarajan supports the need to develop a new model that is suited for India’s requirements. The market for business PhDs will reward PhDs with proficiency in teaching, argues Professor Arun Pereira. Professor Puranam interviews Union HRD Minister M M Pallam Raju about the challenges facing doctoral education in management. Professor Galit Shmuéli describes how predictive analytics can help retailers make insightful decisions. Professor Ram Gopal writes about how data analysis can help marketers determine profitable product assortment possibilities. Professor Subodha Kumar shares his research on implementing a user profiling model at Chitika, an Internet advertising firm. Noted economist A K Shiva Kumar writes on India’s need for Universal Health Coverage and the financing options for UHC. Professor Sharon Barnhardt writes from her research on a neighbourhood with Hindu and Muslim populations. Professor Rajesh Chakrabarti analyses the reasons behind Bihar’s incredible turnaround. How can we target malnourishment in India? Professor Prakarsh Singh writes from his research. What are the outcomes of the new National Manufacturing Policy (NMP) on India’s development? Professor ManMohan S Sodhi discusses. Arun Maira presents his views on the government’s new policy. 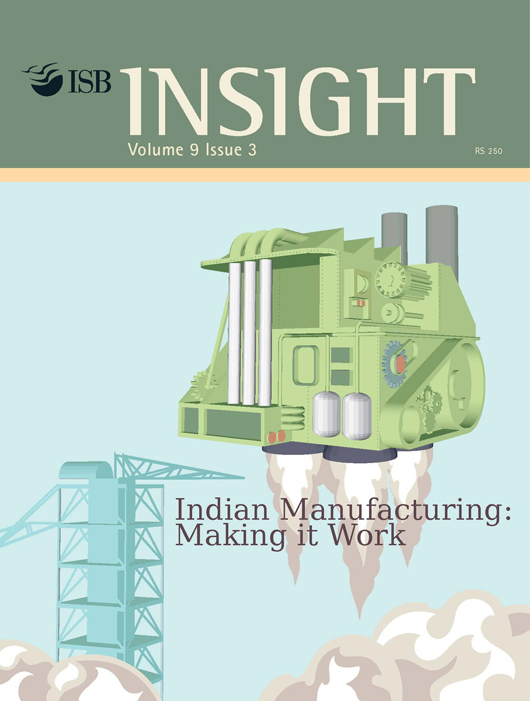 Sunil Kant Munjal discusses the issues related to implementing the new manufacturing policy. What impact will the new manufacturing policy have on businesses in India? B Muthuraman provides an overview. Professors Stephen M Sammut and Lawton R Burns of the Wharton School analyse the healthcare requirements of the burgeoning Indian population. Healthcare systems must be designed to address the requirements of all its citizens explains Professor Arnold J Rosoff of the Wharton School. Health insurance is a growing sector in India. Sofi Bergkvist analyses this sector with special emphasis on Aarogyasri. Dr Shetty talks about how specialisation of healthcare services and resource optimisation can provide low-cost, quality treatments to the poor. How can point-of-care devices enhance the efficiency of healthcare networks in developing countries? Professors Milind Sohoni and Sarang Deo present their findings. Does being profit driven dilute a Microfinance Institute’s social objectives? Professor Krishnamurthy Subramanian discusses his research on MFIs. Usha Thorat brings her extensive experience in this dialogue about financial inclusion and the role played by the different financial agents. How can UCBs promote financial inclusion? Professor Rajesh Chakrabarti elaborates. Can creativity hamper career growth? Professor Dishan Kamdar supports this argument in an intriguing study. 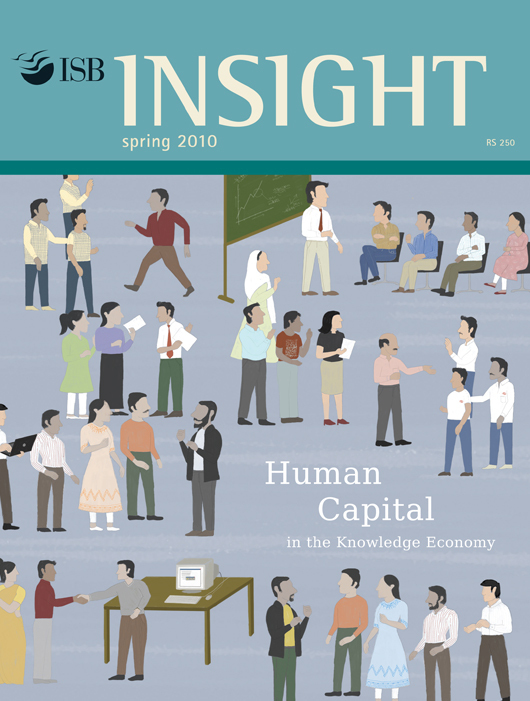 The cover theme of this issue focuses on how technology firms can best leverage their human capital. This article provides an introduction to the theme. Investing in training leads to increased employee productivity but for maximum returns, training programmes need to be managed more effectively. Investments in training can enhance returns from labour input and generate more revenues. Programmer participation in open source projects can provide a valuable human capital development mechanism for software firms. SMEs enhance inclusive growth by the manner in which they evolve, leverage local resources, and innovate to create products and services. A well-thought out SME-driven entrepreneurial ecosystem can take the industry and India, to the next level. Small ﬁrms in India cannot rely on informal sources to come to their rescue when access to formal sources becomes difﬁcult. They may be excluded from all capital markets at the same time. What could be a possible remedy? Targeted policies aimed at the poor and small businesses will allow entrepreneurship to become an engine of both inclusion and growth. But creating an overall business-friendly policy framework is more likely to be effective than subsidies. 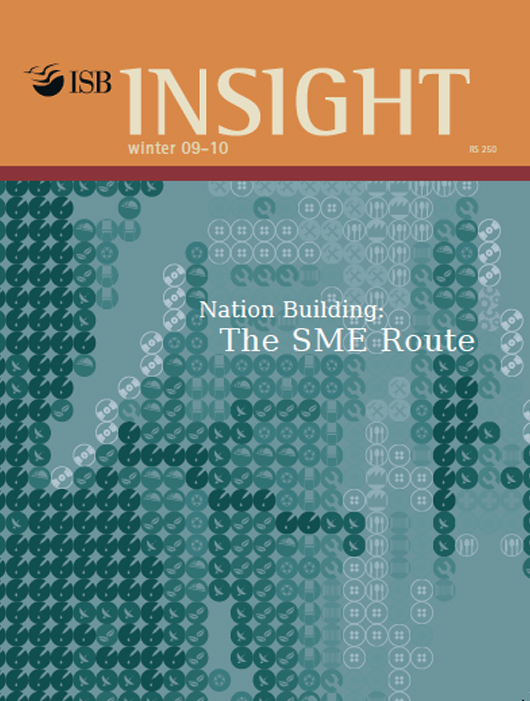 A look at the role of industry, government and academic actors in SME revitalisation. 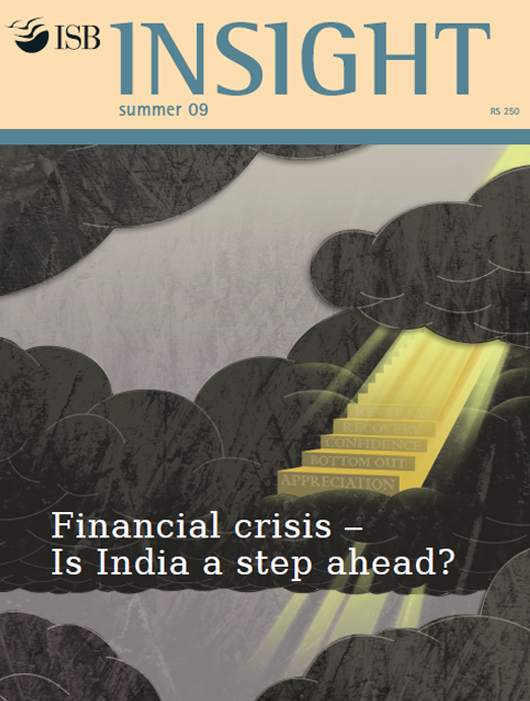 Financial crisis – Is India a step ahead? Rajesh Chakrabarti, Assistant Professor of Finance at the ISB, chronicles the global financial crisis and its impact on India. Concise yet comprehensive research-based or opinion pieces on a variety of topics of interest for practicing managers and researchers. Do consumers actually do what they say? And say what they do? Professor Nitika Garg and co-authors analyse the gap between stated intent and revealed action in this study on consumer behaviour. For India’s leading digital players, should the relative emphasis be on more customer acquisition or on better consumer engagement? Professor Tejpavan Gandhok provides some pointers. Will the prosperity of India’s nearly half a billion online users grow enough to make India the next big prize for digital dominance after China? Professor Tejpavan Gandhok questions this assumption. 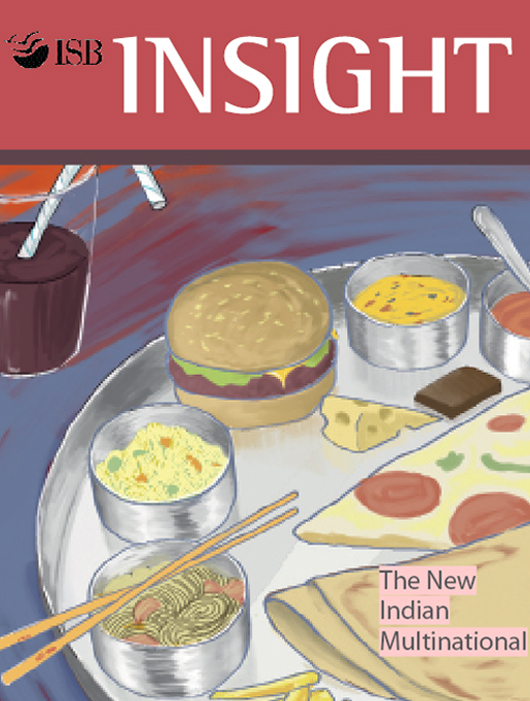 Why is people’s impression about India relevant to how they consume Indian products and invest in Indian industry? Research by Professor Durairaj Maheswaran and Malika offers some answers. Gender diverse firms result in better shareholder value, reveal research by Dr Nupur Bang, Professor Raveendra Chittoor, Professor Kavil Ramachandran and Anierudh Vishwanathan. Although apps are useful for tracking health, significant privacy concerns remain, contends Priti Singh. Meenakshee Sinha and Professor S. Arunachalam present a fast-moving consumer goods blueprint for rural marketing based on the Arogya Parivar experience. Do e-cigarettes really help smokers kick the nicotine habit? Research by Professor Vithala R. Rao and Dr Jialie Chen offers some answers. Winner-take-all online platforms are not as inevitable as they are perceived to be, especially within e-commerce and online taxi hailing in India, argues Professor Tejpavan Gandhok. Chirantan Chatterjee and his coauthors investigate whether a macroeconomic policy shock like the 2016 Indian demonetisation could have microeconomic implications for firms in the Indian mobile phone industry. Kiran Pedada and his coauthors study the impact of dissolution announcements on short-term abnormal returns to the emerging market firm and discuss how their findings can help firms plan their international marketing joint venture entry and exit strategies. 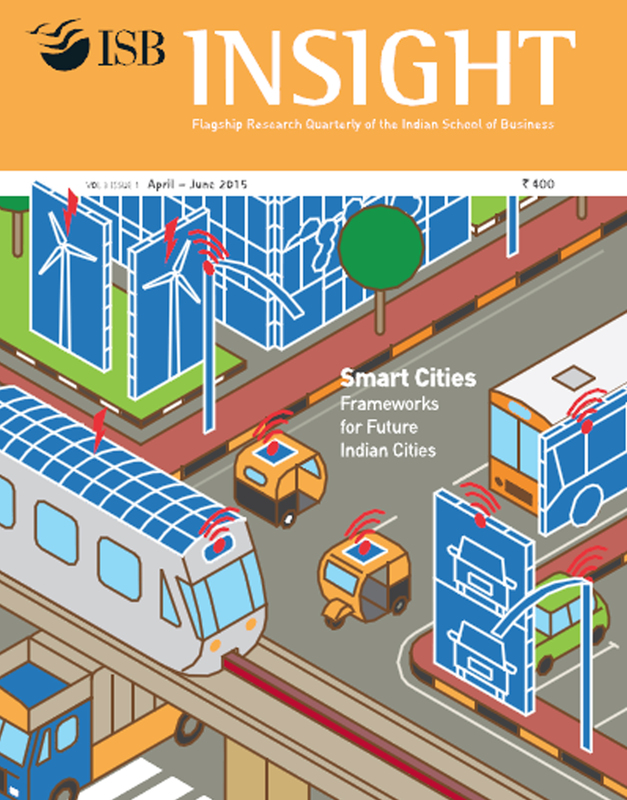 Ashish Mohan and Tryambakesh Kumar Shukla reveal the journey behind the development of the Smart Cities Index and highlight the glaring data gaps that hinder urban development in India. Pay for Performance in Government: Has its Time Finally Come? Holding governments accountable for delivering on promises and incentivising government employees appropriately is a fundamental requirement of good governance. This requirement can be met through a performance-related pay system, argues Prajapati Trivedi. 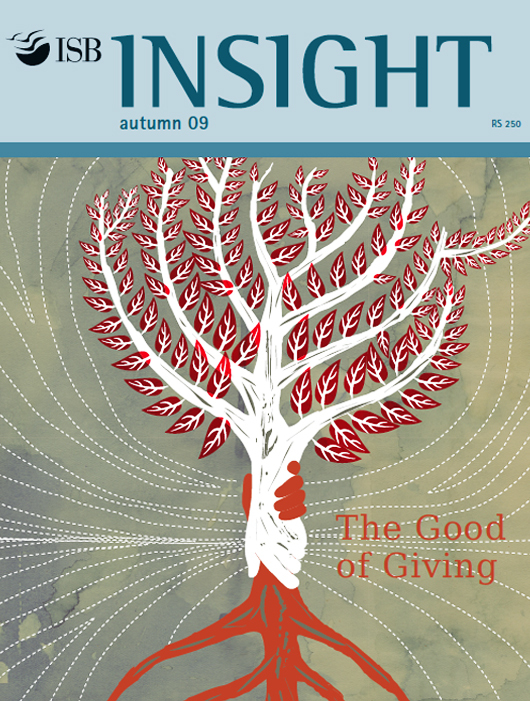 Dr. Ann-Veruschka, in her article from the archives, examines trends in European philanthropy and the emerging issues in philanthropy governance. Professor Denise Kenyon- Rouvinez talks of the various attributes of high-performing business-owning families. Nabankur Gupta discusses the significance and challenges to implement good corporate governance and a wellfunctioning board. A case study on reducing carbon footprint, by investing appropriately in cold chain. The credibility of implementers and acceptance by target groups are critical for the success of any administrative reform, says Analyst Mukesh Bisht . Research by Professor Manish Gangwar shows why we need to be wary of unregulated celebrity endorsements in India. Differential pricing by pharmaceutical companies could be an answer to affordable medicines in emerging markets, according to Professor Patricia M Danzon. Feeling low? Forgo the comfort food and turn up the volume! High intensity sensory consumption or HISC activities like dressing up or listening to loud music can be a better fix than binge eating or a shopping spree for a feeling of low self-worth, research by ISB Professors Rishtee Batra and Tanuka Ghoshal shows. Big data and analytics are now delivering insights that are being translated to deliver better, cheaper and more transparent health care, says Ravi Chawla. Professor AJ Chauradia analyses firms that pursue both make and buy strategies for better human capital. The results suggest a firm possessing slack resources is more likely to pursue building compared to acquiring strategies. Professors Milind G Sohoni and Sripad Devalkar study innovative and emerging models in the NPO marketplace. 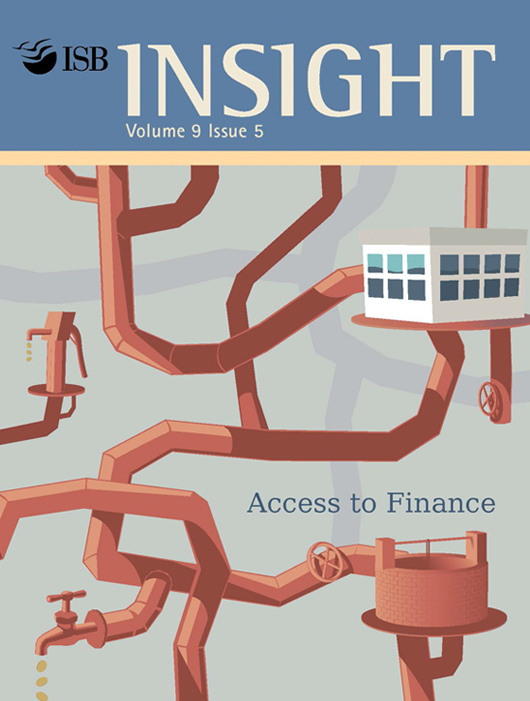 Professors Snehal Awate, Marcus M Larsen and Ram Mudambi, investigate the determinants of knowledge transfers to and from newly acquired subsidiaries in emerging economies. What Does, What a Firm Says, Say About the Firm? Ashish S Galande, Prakash Satyavageeswaran and Professor Sudhir Voleti, suggest a novel manner of better understanding the effects of strategy on firm performance. 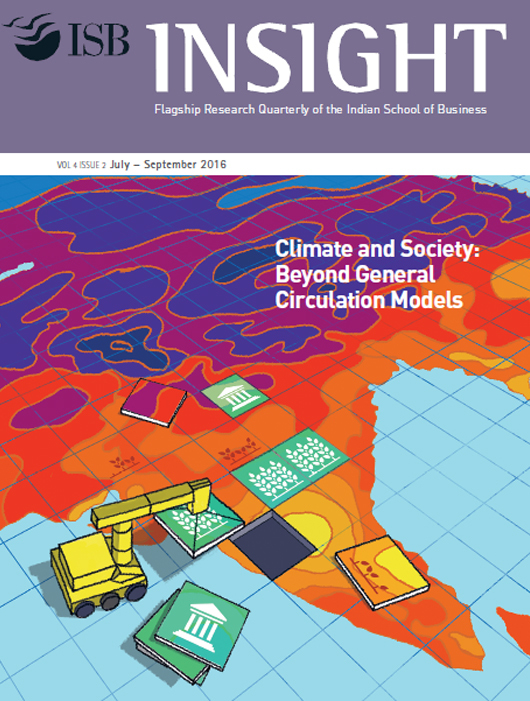 Geetika Shah and Priyank Arora along with Professors Kannan Srikanth and Sonia Mehrotra present a case study published and distributed as part of ISB’s Case Collection in the Harvard Business Publishing catalogue. Professor Jaya Dixit and Professor M V S Kumar explain the behavioural and psychological aspects behind decision-making in acquisitions. Ram Nidumolu and Professor Sanjay Kallapur outline a strategic approach to Corporate Social Responsibility (CSR) which will enable companies to fulfill their social responsibilities as well help them to improve their business performance. Entrepreneurial Firms: Coast On or Cash Out? The paper takes a close look at what sets apart a successful entrepreneur from one who is not. Kavil Ramachandran and Navneet Bhatnagar explore the multi-dimensional and transient concept of family togetherness. Kavil Ramachandran and Navneet Bhatnagar discuss mechanisms to facilitate survival and growth of family business. Tarun Jain, Lata Gangadharan, Pushkar Maitra and Joseph Vecci examine behavioural barriers to women’s leadership at the grassroots. Utpal Bhattacharya exposes the dark side of the Personal Finance Industry. Subodha Kumar throws light on how can competitors share data in a mutually beneficial manner. Professor Raveendra Chittoor highlights the key strategies of internationalisation of Indian companies. Professor Amitava Chattopadhyay offers insights to succeed in the emerging markets by citing the stories of those who cracked the code. Inflation in India: Will the switch from WPI to CPI give us a truer picture? Pranai Agarwal examines the Indian government’s decision to move from wholesale price index (WPI) to the consumer price index (CPI), to measure inflation in India. Professor Raveendra Chittoor and Bibhu Prasad Kar present the results of the 2014 ranking of India’s largest transnational corporations based on the Transnationality Index (TNI). Siva Sakthiraj Rajamani and Professor S. Ramakrishna Velamuri highlight the distinct features of corporate venture capital and examine its growing relevance in China and India. Professor Karan Bhanot cites lessons from recent international pilot programmes that promote public-private participation in the effective running and delivery of social services. Do Traditional Accounting Systems “Hide” Costs? Professors Satish Joshi and Ranjani Krishnan underscore the importance of investments in more detailed costing systems that capture hidden costs including the cost of complying with regulations. Professors Gireesh Shrimali, Charles Dhanaraj and Kirti Madhok Sud explore alternate models to fully operationalise Husk Power Systems, an enterprise that creates energy from waste material. Professors Rajeev Dehejia and Arvind Panagariya examine India’s services-led growth trajectory in the post-reform period and the impact of economic reforms on the socially disadvantaged. Professor Raj Raghunathan investigates how selective information seeking behaviour of do-it-yourself online investors can result in poor decisionmaking and lower return on investments. Professor Sudipta Sarangi examines whether and how winning strategies differ in the 20 over and 50 over cricket match formats. Professor Radhika Lunawat analyses how disclosure and financial reporting can serve to repair reputations and rebuild investor confidence in the aftermath of the global economic recession. Professor Deepa Mani and Geetika Shah, explore the context and evolution of Sony Music India, in a fast evolving digital music space. Ekta Selarka examine a sample of companies to gauge the extent of female representation on their boards. Professors Pushkar Maitra, et al., describe the results of a new approach that seeks to make microcredit work for the agrarian poor. Focusing on the Indian family business behemoth, the GMR Group, Professor Kavil Ramachandran, Professor John L Ward, Rachna Jha and Sachin Waikar highlight the multifarious issues that underpin family businesses. Arjun Venkatraman of the Mojolab Foundation describes new avenues for social and economic impact emerging in the tribal areas of central India. Deepti Goel and Sonam Gupta present the findings of their study on the effect of the Delhi Metro on air pollution. Professor Nimmi Rangaswamy shares the findings of her study on mobile Internet usage among teenagers from the slums of India. In a case study of Krishna Bhima Samruddhi Local Area Bank (KBSLAB), a microfi nance institution, Puran Singh, Nupur Pavan Bang, Kaushik Bhattacharjee and Rajesh Chakrabarti take us through the journey of microfinance in India. “Unhealthy = tasty,” and “healthy = not tasty”: these beliefs guide poor food choices, suggests Professor Raj Raghunathan’s research on consumer behaviour. Professor Rohit Prasad contrasts the regulatory approaches in traditional media and the Internet. Dr Pavan Mamidi explains the fi ndings of a pioneering ethnographic study of Naxal recruitment strategies. A case study by Professor Rajesh Chakrabarti highlights the impact of currency rate fluctuations on the profitability of an export oriented textile manufacturing firm, TT Textiles. 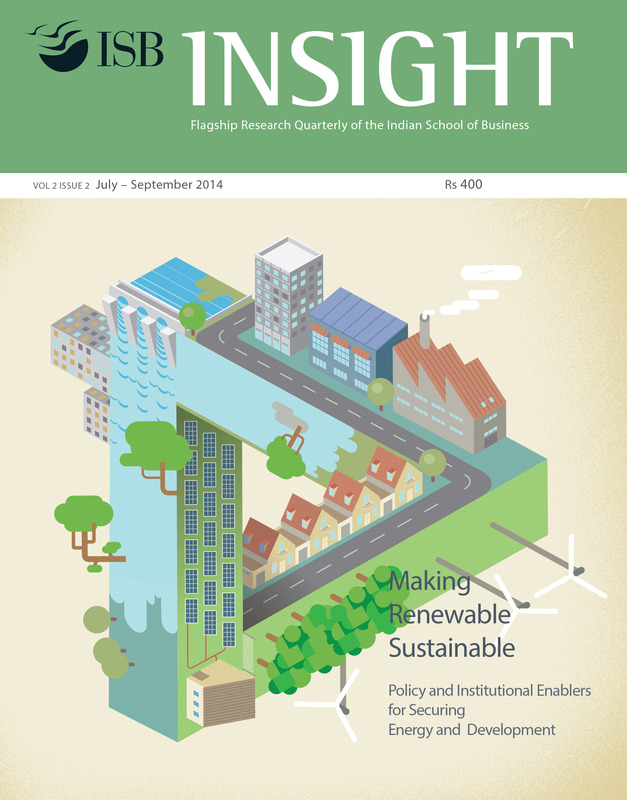 The perceptions of Indian consumers differ from those of American consumers on sustainability issues. Professors Tonya Boone and Rishtee Batra discuss why. This article evaluates GHIS within the framework of Universal Health Coverage in India. Summary of a case study that highlights the recent patent struggles of Novartis. Professor Baba Prasad describes how the concept of intelligence opens up a new frontier for strategy. Professor Tarun Jain shares his findings from a novel experiment on mitigating corruption. Professor Viral V Acharya explains why governments service their external debt even when it may benefit them to default. What is the carbon footprint of an Indian Thali dinner? Professor Ram Ganeshan traces the carbon footprints of different entities. In this case study summary, Nokia India considers whether they can proceed with the national roll-out of a new service based Kirti Madhok Sud. 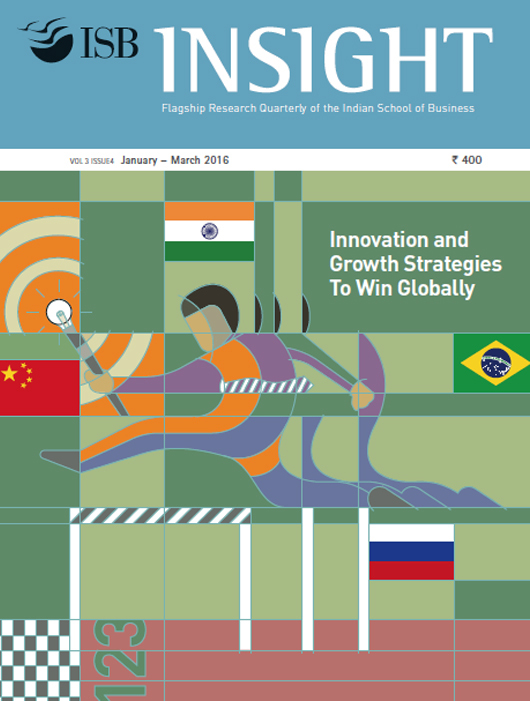 Featires in ISBInsight on a successful pilot. Professor Amitava Chattopadhyay explores the key components of innovative Indian organisations. Contrary to popular belief, we can work on increasing our happiness and Professor Rajagopal Raghunathan explains how. Senior Researcher Nupur Pavan Bang elaborates on the need for SME Exchanges. Professor Chris Dellarocas explains how companies can tap into social media. 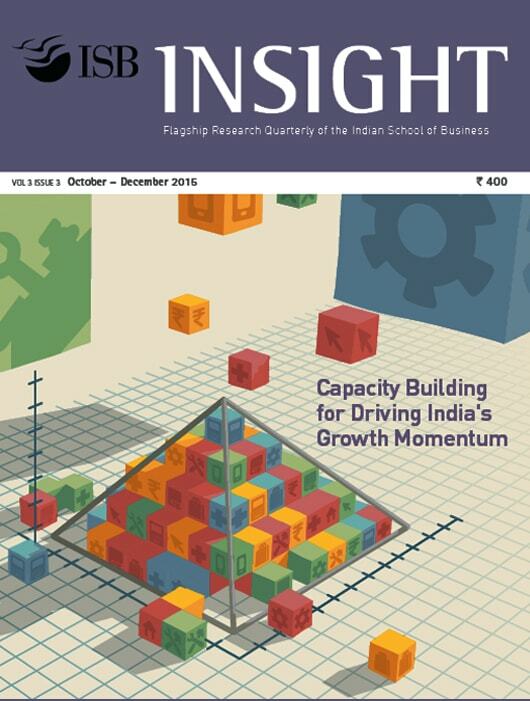 Professor Raveendra Chittoor presents highlights from a joint survey of Indian firms. Summary of a case study that highlights a critical turning point in the life cycle of the Madras Craft Foundation (MCF). Do All Product-Oriented Web Technologies Reduce Product Returns? 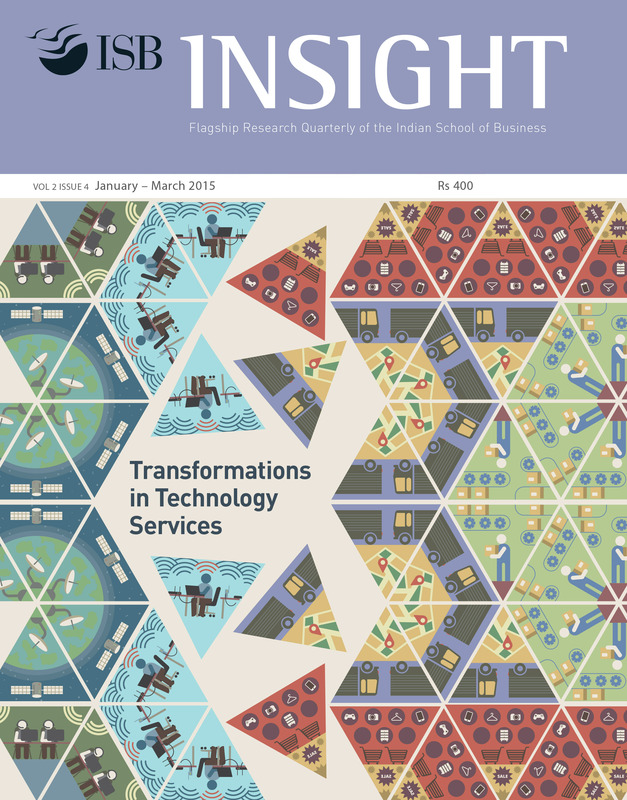 Academicians collaborate for a study on the influence of web technologies on product returns. Cultural differences in trust impact negotiation outcomes. Professor Amit Nandkeolyar writes from his research. What are the implications of increasing IT capacity on firms and customers? Professor Subodha Kumar presents his findings. Does “ethical” fashion have a place in India? Professor Tonya Boone provides an insight. What was the dilemma Biocon faced with its latest breakthrough for diabetics? Are companies better off hiring expensive CEOs from outside their organisations? Professor Nandini Rajagopalan discusses. Professor Ram Gopal explains how companies can benefit from their employees’ blogging. An award-winning case on conflict and collaboration. CFOs try very hard to meet analyst expectations. Professor Shivaram Rajagopal explains why. Professor Sankar De proposes a policy initiative to promote the trade credit securitisation drive. Shreedhar Kanetkar presents an overview of impact investing, with a focus on social impact bonds. Professor Arun Periera, explores how computer based simulations can help SMEs gain business expertise. From idea to product, how can we facilitate innovation? Krishna Tanuku, Executive Director, Wadhwani Centre for Entrepreneurship Development(WCED) offers suggestions. N Vishwanadham, Clinical Professor at the ISB suggests an innovative solution to enable food security in India. The ISB collaborates with Unique Identification Authority of India (UIDAI) to study its impact in the coming decade. Indian companies can turn the climate change issue into an opportunity rather than a threat by understanding the issue completely, planning their approach, measuring their emissions and adapting a low-carbon business model. Currently governments, planners and corporates do not have an awareness of “wicked problems” and how to deal with them. A paradigm shift in the decision making process is needed. Arguing against conventional wisdom about the causes of the recession, the authors say that the inability of existing financial and legal institutions to cope with the huge increase in the world’s labour supply in a very short time period, led to the recession. While the expected synergies from most M&As are similar to begin with, the ultimate success of the deal is determined by the implementation of marketing and business strategies for the combined entity, and the effective integration of the diverse organisation cultures. Some individuals perceive knowledge acquired during the course of one’s job as their personal intellectual property and hence do not share it with others in the organisation. A look at the impact of incentives, personality types and gender on sharing this knowledge. Auditor’s Independence – The India Story: Can Auditors be Truly Independent? Who Will Police the Policeman? Showcases interviews with prominent business leaders, management experts and key policy makers from around the world. What lessons can the Make in India manufacturing revolution learn from the Bharat Forge success story? Baba Kalyani, in conversation with Milind Sohoni. Rajendra Pawar speaks to Reema Gupta about NIIT’s journey as a pioneer in the information technology skilling and services sectors. Mallika Srinivasan shares her experience in working in the male-dominated tractor industry and her thoughts on gender diversity in business with Saumya Sindhwani. Robert W Palmatier discusses the emerging trends in marketing and research with S Arunachalam. Manish Gangwar caught up with V Kumar to ask how industry and academia can learn from one another. What are the main challenges for the human capital agenda in today’s organisations? D. Shivakumar speaks to Professor S. Ramnarayan. Data is critical for policymaking. 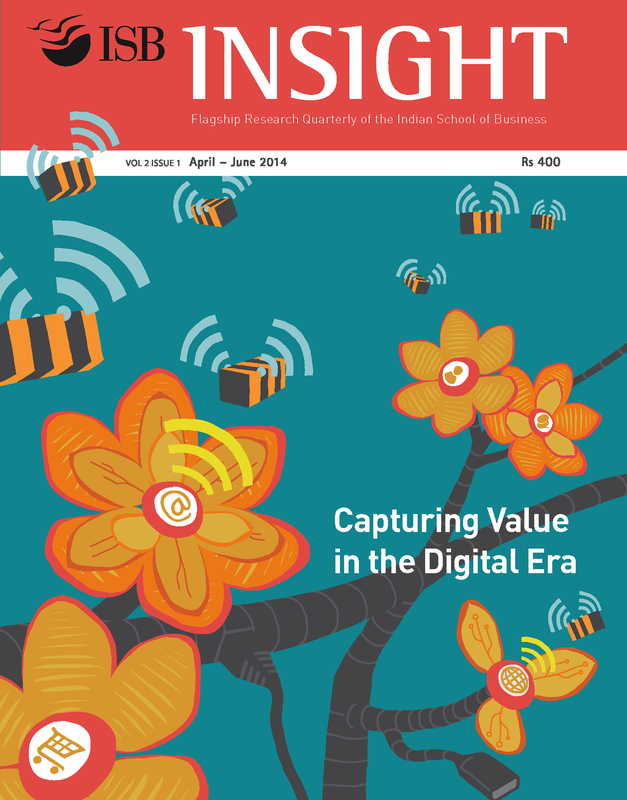 How is the NITI Aayog harnessing emerging analytics tools? Avik Sarkar spoke to the Late Professor Bhimasankaram Pochiraju. Jayant Sinha, Honourable Minister of State for Civil Aviation, visited the Indian School of Business Mohali campus as part of the ISB Leadership Summit in September 2017. Siddharth Shekhar Singh, Associate Professor of Marketing and Associate Dean, Research Centres and Institutes Outreach and Engagement, caught up with him. Viral V Acharya, Deputy Governor of the Reserve Bank of India, speaks to Prachi Deuskar, Assistant Professor of Finance at ISB about central banking as a canvas for research impact. V. K. Saraswat, Member of the NITI Aayog, was the Dean’s Speaker at the ISB in September 2017. Reema Gupta, Head of the Centre for Learning and Management Practice and Corporate Relations at the ISB, spoke to him about his journey from science to policy-making. Professor Dr Pius Baschera of the Hilti Corporation in conversation with Professor Kavil Ramachandran. Adi Godrej, Chairman of the Godrej Group, in Conversation with Professor Sougata Ray. Sanjay Subhedar, founding Managing Director of Storm Ventures, in conversation with C Chitti Pantulu. Nobel Laureate Lars Peter Hansen tells Professor Bhagwan Chowdhry. The first ISB honorary distinguished Fellow, Infosys founder N R Narayana Murthy, in conversation with ISB Dean Rajendra Srivastava. Ajay Arora, Managing Director, D’Decor in conversation with Professor Rishtee Batra. Reema Gupta in an exclusive interview with the President and CEO of the Ericsson Group. R S Sodhi, Managing Director, Gujarat Cooperative Milk Marketing Federation (Amul), in coversation with C Chitti Pantulu. The Nobel Laureate shares stories of his successful campaigns and explains how Corporate Social Responsibility is metamorphosing into Corporate Social Accountability. Raj Raghunathan explains the science of positive psychology, describes science-based principles which can be practised for a happy and meaningful life. An ISB alumnus from the Class of 2006, Neeraj Arora, Vice President, Whatsapp Inc. speaks to Reema Gupta. Dr Vivek Goel, Chief Academic Strategist, Coursera speaks to Raj Raghunathan. Amory Bloch Lovins, Physicist, Environmental Scientist, Writer and Chairman & Chief Scientist, Rockey Mountain Institute, speaks to Nalin Srivastava on managing financial risks in the energy sector. Rahul Johri of Discovery Channel in a tête-à-tête with Professor Siddharth S. Singh. Y Subroto Bagchi, Chairman and co-founder, Mindtree Limited, speaks to Dr. Krishna Tanuku. YC Deveshwar, the legendary Chairman of ITC Limited, speaks to Nalin Srivastava. Eduardo Schwartz speaks about pricing real options. Aditya Agarwal, the Country Manager of Morningstar India, speaks on the Indian mutual funds industry. Vilas Gadkari, promoter, Nilgai group of companies discusses the global macro imbalances. Purpose.com co-founder and CEO Jeremy Heimans talks about movement entrepreneurship and technology’s role in social movements. Professor Douglas W Diamond speaks on the weaknesses in the financial system and the need for effective regulation. Eminent economist and the Chief Economic Advisor to the Indian government, Raghuram G Rajan, speaks with ISB faculty. A discussion on bancassurance and microinsurance in the Indian context. Bank of Baroda Chairman M D Mallya discusses the spectacular turnaround of the bank with Professor Rajesh Chakrabarti. Professor Rajesh Chakrabarti and Senior Researcher Kanchan M talk to Nitish Sengupta about reviving India’s PSUs. In the second of this two part interview, Professor Krishnamurthy Subramanian talks to Anjan Thakor about role of research and faculty development. Professor Anjan Thakor speaks on financial regulation in the emerging markets, in light of the recent crises. What is data analytics and how is it relevant to the business world? Professor Galit Shmueli explains. Shaheen Mistri, Founder, Teach for India, talks with the ISBInsight team about her vision for education in India and leadership in the classroom. Cognizant, Global Head, Consulting, Mark Livingston answers queries from Professor Nishtha Langer. Nobel Laureate Muhammad Yunus talks about the merits of social businesses. Rockefeller Foundation President, Dr Judith Rodin talks to ISBInsight about the Foundation and the impact of technology on education. Arun Maira, Member, Planning Commission talks about innovation and the need to redefine research for the Indian context. Dr R K Pachauri discusses the impending reality of climate change with ISB students. Professor Ajay Bhalla, talks with Head of Merck E KG on challenges faced by family businesses. Saniv Mital, CEO, National Institute of Smart Government , talks to Deepa Mani, Assistant Professor of Information Systems at the ISB about e-governance initiatives. Professor Shyam Sunder of the Yale School of Management, talks to Tarun Jain, Assistant Professor of Economics and Public Policy at the ISB about accounting standards, experimental economics and education. Rajesh Chakrabarti, Assistant Professor of Finance at the ISB, talks to V Nilakant, Associate Professor of Management at the University of Canterbury, and S Ramnarayan, Clinical Professor of Business at the ISB, about the transformation of Indian Railways. Lakshmi Narayanan, Vice Chairman of Cognizant, talks to Deepak Chandra, Associate Dean, Centre for Executive Education and Amit Mehra, Assistant Professor, Information Systems, at the ISB, about leadership lessons, innovation and issues affecting the technology sector. Concise reports of influential research and industry related conferences and seminars organised by the Indian School of Business (ISB). When can India’s demographic dividend turn into a liability for the nation? Shashi Tharoor, in a conversation with Reema Gupta. Ujval Nanavati spoke with authors of four fascinating research papers presented at the ISB Centre for Analytical Finance’s Summer Research Conference 2018.
Who Will Be the Next Media Giant? Yogini Joglekar caught up with Piyush Sharma to discuss the disruptions and strategic opportunities created by technology in the media business. To take an idea from the laboratory to the marketplace, we must go beyond invention to innovation, says Professor Rajendra Srivastava. Sameer Khetarpal and Raja MVSMA discuss local-global intersections in marketing. Professor Richard Smith and Professor Chandrasekhar Sripada examine the human capital landscape in a digital era. One of the highlights of the Health 2.0 Conference, coorganised by the Max Institute of Healthcare Management at the ISB, was an on–stage conversation between Sarang Deo, Associate Professor of Operations Management and Executive Director of the Max Institute of Healthcare Management, and Shashank N.D., Founder and Chief Executive Officer (CEO), Practo. A panel of practitioners and academicians discuss the Fintech boom, fuelled by the technology savvy consumer, and the ensuing challenges. Health insurance and technology have emerged as the game changers, concludes a panel of leading healthcare industry honchos. Professor Karthik Kannan analyses digitisation trends and how some of the digital platforms are going to play out. To reveal or not to reveal becomes a critical supply chain management decision for companies given the dynamic market and informed competition, say Professors Aditya Jain and Milind Sohoni. A report on global best practices in M&E shared at a symposium organised by Bharti Institute of Public Policy, ISB. Jonathan Woetzel and Anu Madgavkar talk about the four forces that are transforming the global economy. ISB’s Punj Lloyd Institute of Infrastructure Management conducted a two-day workshop to discuss various aspects of the Government of India’s 100 Smart Cities Plan. Gaurav Dubey reports on the proceedings of the workshop that was held at the Mohali Campus of ISB. Mittu Chandilya shares his experiences and business philosophy. RBI Governor Raghuram Rajan spent time with ISB students discussing topics ranging from the fiscal and monetary policy to job prospects at RBI. Companies and social enterprises came together to deepen understanding of CSR and the role of companies in transforming the socio-economic landscape in India. Leading academics and socio-economic analysts took part in a panel discussion on the new government’s economic agenda. The Bharti Institute of Public Policy at the ISB hosted Baijayant ‘Jay’ Panda, Member of Parliament (MP), Kendrapara (Odisha) for a Policy Workshop. Leading investment and financial experts presented on the outlook for investments in India at the IIC 2014 jointly hosted by the Centre for Investment at the ISB and the IAIP. The recently held Digital Summit at the Indian School of Business was inaugurated by a special workshop that provided small and medium businesses with some useful tips on taming the digital revolution. A recent conference organised by the Bharti Institute of Public Policy at the ISB and the Consulate General of the United States addressed a range of critical issues facing India and the US as they aspire to engage meaningfully with the Middle East. In a talk at the Indian School of Business, Devdutt Pattanaik, leadership consultant and author, described the role of myth and stories in shaping beliefs and behaviours. Summary of the Fourth Asian Invitational Conference on Family Business. Experts discuss ways to strengthen organisations and mitigate risks in the financial system. Highlights from the Digital Summit at ISB. The Ethics in Business Forum tackles a pressing issue. A discussion on morals and making ethical business choices. A talk on values by the founder of the Piramal group. A summary of a workshop on Business Analytics. 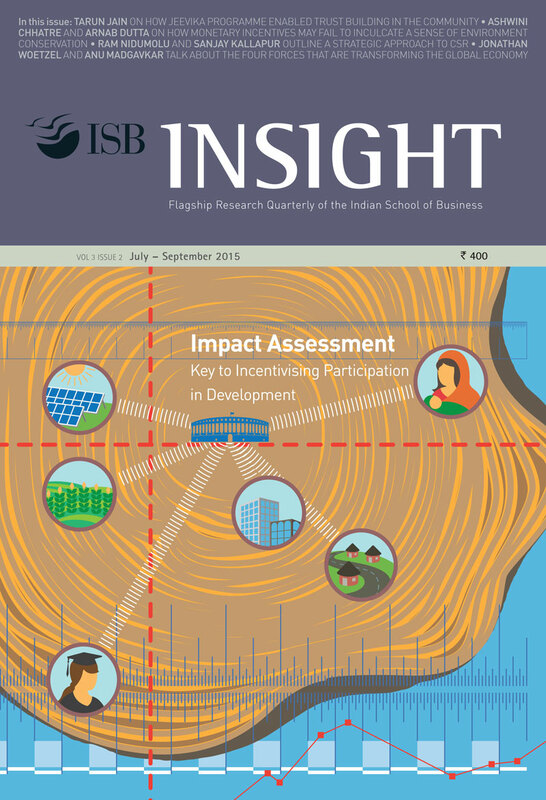 A report on the symposium organised by the Centre for Analytical Finance (CAF) at the ISB. What is the future of India 20 years after economic liberalization? 45 industry leaders present their perspectives at the ISB Leadership Summit 2011. A report on the capacity-building workshop organised by ISB students to empower non-profits. H E Williams Nkurunziza, High Commissioner of Rwanda talks about how Rwanda charted its history after the 1994 genocide. 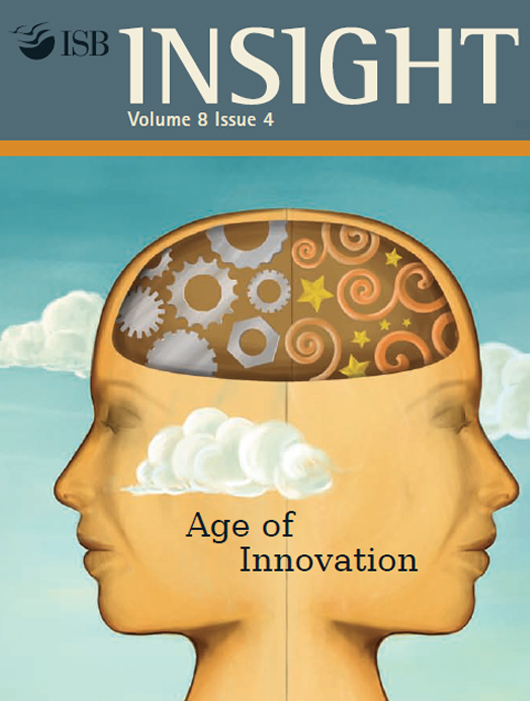 What role can companies play to inculcate a culture of innovation? This panel discussion lends a corporate perspective. Sustainable Growth: A pipe dream? The panelists in the World Ecnonomic Forum Young Global Leaders South Asia Meet call for reform. A summary of the award-winning paper at the Centre for Analytical Finance (CAF) Summer Research Conference 2011. David Fisher of Facebook elaborates on how social networking is shaping our world. A report on the two-day conference on the role of educators in encouraging innovation among the youth. How did the Bihar turnaround happen? A senior police officer offers a ringside view. President Pratibha Patil urges students to help develop rural India. Mahesh Peri, Publisher, Outlook, draws on his own experiences to give insights on the media. How Can We Build Inclusive Cities? The Centre for Emerging Markets Solutions organised a panel discussion on urbanisation. Dr Kiran Bedi draws on her life experiences to talk about gender and leadership at the ISB. Panelists at ISB Leadership Summit talk about challenges facing the Indian entrepreneur. Informative reviews of a diverse range of the latest publications from across the Business, Management, Economics and Public Policy areas. Glory George reviews the book ‘How Emotions Are Made: The Secret Life of the Brain’ by Lisa Feldman Barrett. Recent books received in Business, Management, Economics and Public Policy. Professor Kavil Ramachandran explains how the Three Circles model developed by Renato Tagiuri and John Davis in the late 1970s revolutionised the understanding of family businesses. Sanjay Kallapur underlines the contemporary relevance of the work of the business historian Alfred D. Chandler, who showed how management, more than technology, facilitated the rise of large wealth-creating organisations. Mridula Anand reviews Reverse Innovation: Create Far From Home, Win Everywhere by Vijay Govindarajan and Chris Trimble. Professor Ashima Sood reviews Urbanisation in India: Challenges, Opportunities and the Way Forward by Isher Judge Ahluwalia, P K Mohanty and Ravi Kanbur. A book by Kavil Ramchandran, reviewed by Shyamal Majumdar. Debunking the Growing Myth of a China Inc.
A review of Is China Buying the World? by Peter Nolan. 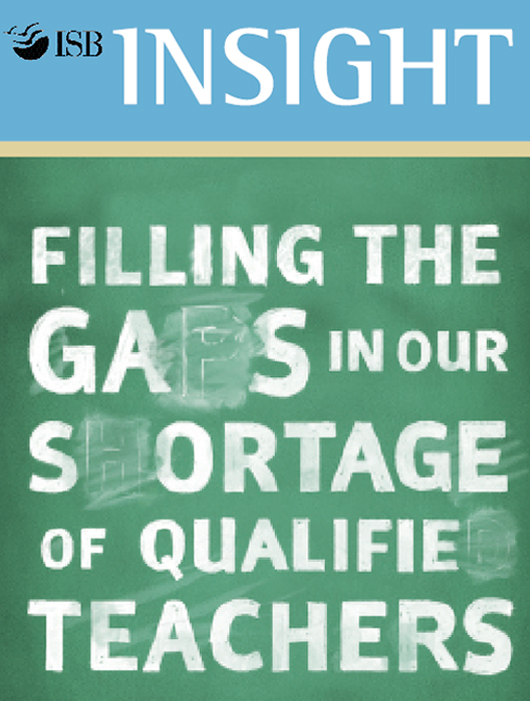 A review of the recent publication from McKinsey and Company. A review of An Uncertain Glory: India and Its Contradictions by Jean Drèze and Amartya Sen and Why Growth Matters: How Economic Growth in India Reduced Poverty and the Lessons for Other Developing Countries by Jagdish Bhagwati and Arvind Panagariya. A review of Nassim Nicholas Taleb’s “Antifragile: Things that Gain from Disorder”. A review of Daniel Kahneman’s “Thinking, Fast and Slow”. A review of Gurcharan Das’ India Grows at Night: A Liberal Case for a Strong State. A review of Arun Maira’s, “Discordant Democrats”. A review of “Blind Spots – Why We Fail to Do What’s Right and What to Do about It” by Max-H Bazerman and Ann E Tenbrunsel. A review of “E-marketing Theory and Application,” by Stephen Dann and Susan Dann. A review of “Innovate! : How Great Companies Get Started in Terrible Times,” a book by Thomas A Meyer. A review of ‘The Idea of Justice’, a book by Amartya Sen.
A review of ‘The Aid Trap: Hard truths about ending poverty’, a book by R Glenn Hubbard and William Duggan.